Eric met me at the check in counter and was very friendly and helpful. I like the tropical setting around the park. The bed was comfortable and the room very clean. Shower block was right across from our Cabin and was also clean. Very quiet. Very comfortable. Everything we needed was on site. Property is located close to downtown. It is clean and quiet. would be nice if there was a bench to put your belongings on in the showers. Could use more than one toilet for 19 cabins. Sigh. There it is. Another post of your friend’s epic adventure, where they went to the back of beyond with nothing more than a stick and a canteen of water. 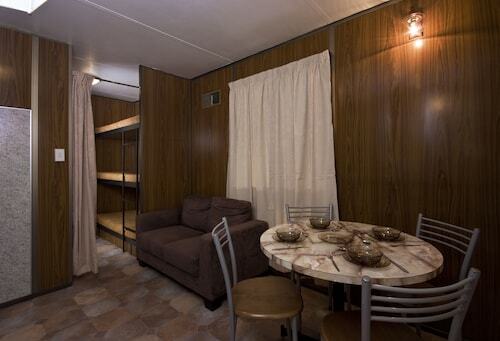 You like the great outdoors as much as the next person, but you also like having creature comforts on your holiday. 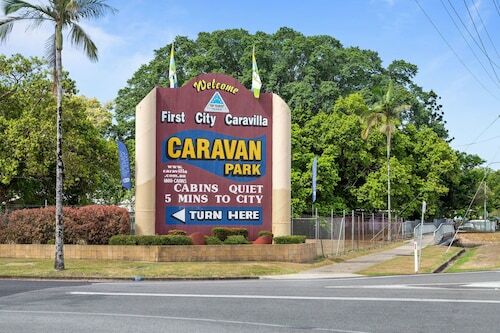 You want a Cairns caravan site where you can get back to basics but not have to worry about packing any survival gear. Well, you’re in luck. 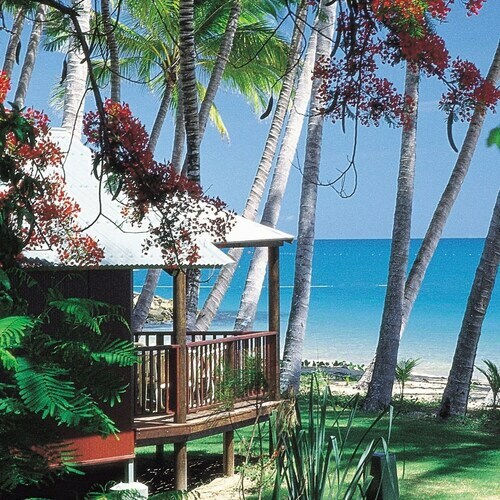 Wotif has plenty of Cairns caravan camping options, which lets you strike that rare balance between the Great Outdoors and its cousin, the Great Indoors. You didn’t travel to Cairns to stay cooped up in a hotel all day, though. We know you like to get out and sightsee as much as you can. 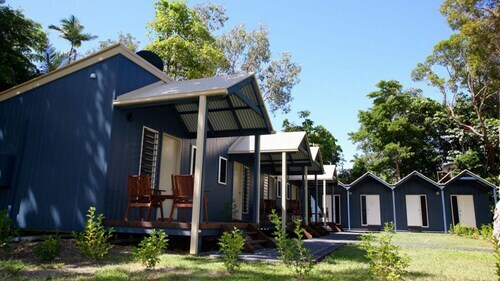 And when you’re done exploring Cairns you’ll find the caravan sites have all the amenities you’ll need to stay comfortable—and make heaps of new friends. One of the best parts of campervanning are the connections you’ll forge with fellow travellers. Grab afternoon tea with the retirees in the next lot as the kids play with their mates. 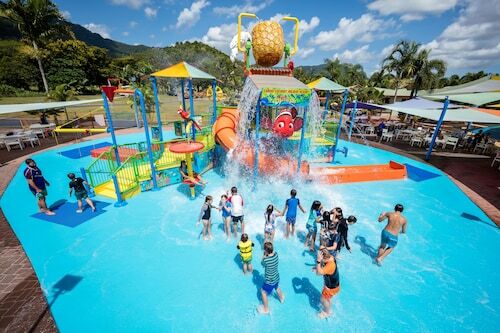 Not sure which Cairns location to choose? Flip through some reviews and let your fellow travellers’ comments help you decide. 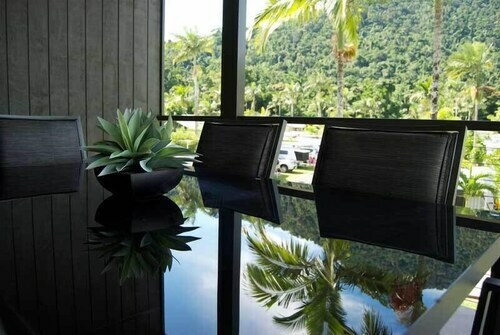 You don’t need to hire a mountain guide to enjoy all the natural beauty of Cairns. We have sweet deals on everything from family-friendly to pet-friendly caravan parks for a bargain. Grab it and go, and leave the serious altitude training to someone else. 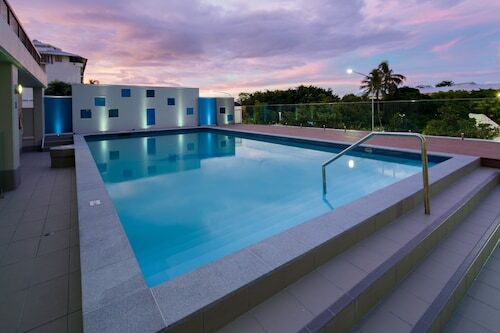 Our young daughters loved the pool area. Meals were fantastic.